The text covers: the study of the structure and function of living things; the study of cells and their functions; growth and development in vertebrates; the study of inheritance and variation; Mendel and genetics; gene manipulation; natural selection and adaptation; the study of habitats and the interaction of living things. Morton Jenkins is a very experienced teacher of biology and currently the Curriculum Manager in Science at Cardiff Tertiary College. He is also a Chief Examiner for GCSE Biology (WJEC) and Joint Chief Examiner for GCSE Science (WJEC), and has been involved in writing syllabli at both GCSE and A level. He has written many books in the field of science. 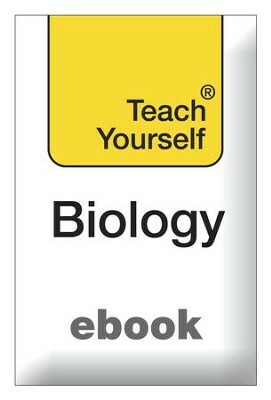 I'm the author/artist and I want to review Biology: Teach Yourself / Digital original - eBook.